Derrick Millinghaus’ runner with 1.1 second remaining, rallied third-seeded Ole Miss to an unbelievable 64-62 comeback victory against sixth-seeded Missouri at the Southeastern Conference Tournament. 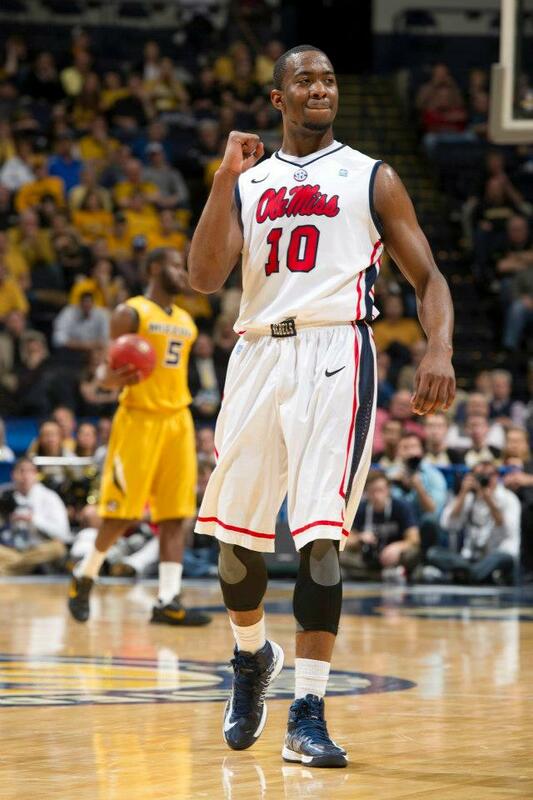 Ole Miss (24-8) advances to face 10th-seeded Vanderbilt (16-16) in Saturday’s second semifinal. Mizzou must now await their fate in the NCAA tournament. The Rebels trailed 14 points, at 42-28, in the second half before rallying late in the game to defeat the Tigers. Mizzou was up 49-36 with just over 13 minutes to play and couldn’t stop Ole Miss. Marshall Henderson led Ole Miss with a game-high 27 points, his 15th 20-point game of the year. 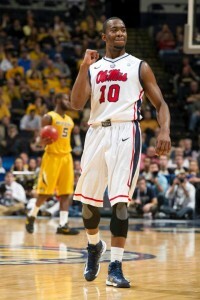 Throughout the second half, he was seen taunting Mizzou fans. He celebrated the win by jumping on top of the scorer’s table. Millinghaus added 11 points, all of which came in the second half and Mizzou couldn’t find a way to slow him down. Phil Pressey made a three-pointer to put Missouri ahead 62-59 with 46.2 seconds left, but Millinghaus answered with his own three-pointer. Laurence Bowers, who had five turnovers in the game, overthrew an inbounds pass that Henderson intercepted. That turnover allowed Millinghaus to complete Mississippi’s comeback, as he faked out Jabari Brown, drove and hit a high floating shot for the final margin. Missouri (23-10) was led by 16 points from Alex Oriakhi and 13 from Phil Pressey. However, Oriakhi didn’t see a lot of touches down the stretch when Ole Miss made their run…a head scratching move as to why Pressey and others didn’t feed the ball into Oriakhi more? Alex finished with two baskets on two attempts from the time the Tigers led 49-36 with 13:01 to play. Over the final 13 minutes, Pressey was 3 for 8.